Several Catholic schools in the Archdiocese of Baltimore are planning to mark the visit of Pope Francis in creative and faith-inspiring ways. Students will participate in the Feet for Francis initiative by collecting 1,000 pairs of shoes.The school is also sending a bus with students and faculty members to attend the Papal Mass in Philadelphia on Sunday, September 27 at 4 p.m. Contact: Fr. Matt Foley, Campus Minister, at 410-485-5000. On Tuesday, September 22 at 8:45 a.m., students will participate in a schoolwide prayer service in the school’s gymnasium to celebrate Pope Francis’ visit. Students from Immaculate Conception School in Towson plan to give the shoes off their feet to an initiative co-sponsored by the Archdiocese of Baltimore and the Catholic Review, Feet for Francis. The initiative, which is being highlighted by a group of local Catholics walking 108 miles from Baltimore to Philadelphia, collects new and gently used shoes that are then refurbished in developing nations and sold to low-income individuals and families for pennies on the dollar. The initiative also creates employment for those who are trained to repair and restore the shoes in 26 developing countries. On Thursday, September 24 at 2 p.m. students will walk the campus and the through the Towson Market before placing their shoes outside the school building. For more information, contact: Trish Collins, 410-427-4906 or pcollins@theimmaculate.org. The students will assemble in the school’s auditorium on September 24 to hear the Pope’s address to the United States Congress. The school will be sending a bus of students to Washington, D.C. for an interfaith rally held on Wednesday, September 23 on the eve of his speech before the United States Congress. The bus will depart at 5:30 p.m. and return at approximately 10 p.m. Contact: Heather Harlan-Warnack, 410-308-8524 or harlanwarnackh@maryvale.com. Three hundred fifty members (faculty, staff and students) of the Mercy High School community will be offering “A Silent Witness for Peace and Mercy in Our City and Our World” on the corner of Northern Parkway and Loch Raven Boulevard on Thursday, September 24 between 8:20 and 8:45 a.m. The school community will march from the school with signs to the corner and witness silently in solidarity with the Pope. Mercy High School is also participating in Feet for Francis and will be represented at the Mass in the Grass at the Cathedral on Sunday, September 27. There’s also an assembly on Friday, September 25, with a focus around Pope Francis’ message to the Congress.Mercy’s flat screen TVs will also show the Pope’s activities, including live feeds of his speeches. For more information, contact Theresa Wiseman at 410-960-0230. In recognition of Pope Francis’ visit to the United States, the Notre Dame Preparatory School community will hold a prayer service in which students, faculty, and staff will tie hundreds of ribbons on trees to symbolize individual prayers for our world and each other.The ribbons represent a person’s or society’s “knots”—or problems—that are referred to in Pope Francis’ favorite work of art, “Mary—Undoer of Knots.” Later in the week, in religion classes, NDP students will undo the knots, symbolizing their role in easing pain and suffering and transforming the world. The event will take place on Tuesday, September 22, from 8:15-9:15 a.m. at the school’s front entrance. The school is located at 815 Hampton Lane in Towson and has 900 students, faculty, and staff members. For more information, contact Cami Colarossi at 410-825-6202 ext.1004. The school is participating in the Feet for Francis initiative and will serve as a drop-off location for people wishing to donate new and gently used shoes.Donations will be accepted weekdays from 8am to 4 pm. The school’s campus ministry will be making sandwiches on September 22 at 8:20 a.m., which they will give to the outreach program at Corpus Christi Parish in Baltimore. The students will gather on September 24 to watch the Pope’s address to the United States Congress. Students in the Pre-k 3- and 4-year-old programs will participate in a mini pilgrimage. 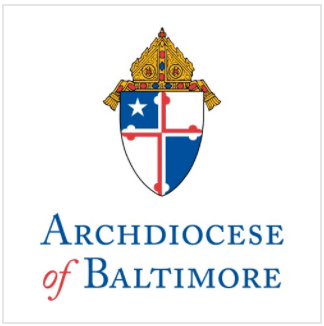 The school is participating in the Feet for Francis initiative (see above) and a small group from the school and parish, including the principal, will be walking in the first leg of the pilgrimage from Baltimore to Philadelphia, beginning Sunday, September 20 after the 10:45 a.m. Mass at the Baltimore Basilica. Two faculty members from the school will be attending the Pope’s Mass in Washington, D.C. on September 23 and every morning the week of September 21 the school will have a special prayer reflection based on the words of Pope Francis. Each morning next week, fourth and fifth grade students at St. Margaret School in Bel Air will dress like a pope and visit classrooms to share a Pope Francis message or quote. A “Flat Francis” journal will travel from classroom to classroom and will be used in religion class to discuss how St. Margaret School is in solidarity with Pope Francis every day, especially his message of peace. The school has an anti-bullying program. Each grade will design banners and signage to be placed on the windows facing so those outside the school can read them. The school’s first graders will make a zucchetto (the small hat worn by the pope) and second graders will make pictures of the Pope and the Liberty Bell. St Mary’s High School in Annapolis will gather in a school assembly on Thursday, September 24 to watch the Holy Father’s address to Congress. The religion classes are preparing for the Holy Father’s Visit by watching his “Papal Audience with Americans” on ABC. St Mary’s will also mail Pope Francis a Spiritual Bouquet from the students and staff. Information has been given via the school’s website to families so they can prepare for his visit and participate in events. The school’s Campus Minister will attend the Mass in D.C. on September 23 and six students will attend events with the Campus Minister and a teacher in Philadelphia, leaving Thursday Sept 24 after school and returning Sunday, September 27. Fr. Jack Lombardi, who is participating in the Feet for Francis walking pilgrimage to Philadelphia, will speak to the students on Monday, September 21 at 9:30 a.m. St. Ursula marks the starting location of the second day of the walking pilgrimage. The students will then line Harford Road to cheer on the pilgrims as they begin their walk to their second stop, The John Carroll School in Bel Air.